The price of a gallon of diesel hovered around $4 from 2011 to 2014, which made a strong business case for fleets interested in lower cost and cleaner burning natural gas. However, the average price of diesel fuel fell to $2.30 per gallon last year, its lowest point since diesel crossed the $2 per gallon mark in 2004, and stunted growth in the segment. The U.S. Department of Energy says the use of natural gas reduces greenhouse gas emissions from 6 to 11 percent and according to ACT Research data, 6,885 natural gas trucks were sold last year, up slightly from 6,767 units sold the year before. Driven mostly by engine emission regulations, the agency’s forecast calls for 6,900 units this year – about 4 percent of all heavy truck sales expected for 2017. Cheap diesel and concerns about the mileage range of natural gas engines may have kept the second wave of truck buyers out of the market, but domestic shale gas production and increasingly strict emission standards may be poised to reignite interest in alternative powertrains. Frost & Sullivan, in a report released in February, projects market penetration of natural gas heavy-duty trucks to reach 7.2 percent by 2025. From 2011 to about 2013, when natural gas-fired engines were quickly building momentum, many foretold of adoption rates of 20 percent by 2020, but Douville says those expectations have been dialed back. Ryder, which has more than 1,000 natural gas trucks in its fleet, says low diesel prices have changed how customers are utilizing the company’s natural gas offerings and its capabilities. 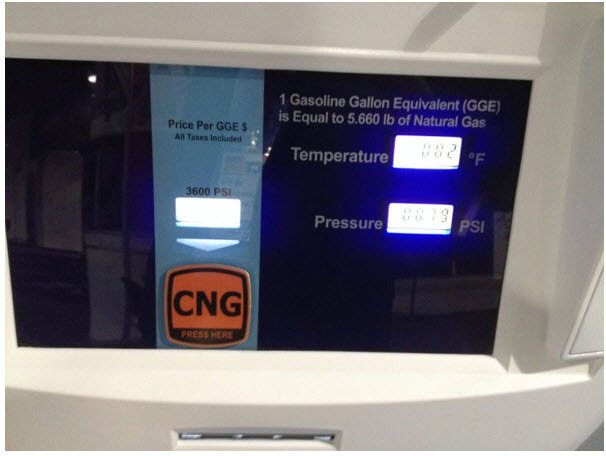 In heavy duty transportation, natural gas is pretty much a two-horse race: Compressed Natural Gas (CNG) and Liquefied Natural Gas (LNG), and even in that limited field CNG has started to pull away. Douville says CNG adoption has been aided by the fact that fleets can experiment with the fuel on a smaller scale, and with less investment, than LNG. Tam notes that no engines are currently being manufactured that require LNG, but most natural gas engines can burn it. “The demand has spoken,” he adds.